Students and faculty from the Mathematical Sciences and Physics departments will spend the next few summers collaborating on research thanks to a new research grant from the National Science Foundation (NSF). Dr. David Lyons, professor of mathematical sciences, recently received a $175,000 NSF grant that will support the continuation of student-faculty research experiences for the Mathematical Physics Research Group in the summers of 2018, 2019, and 2020. It is the fourth NSF that Dr. Lyons has been author or co-author. The Mathematical Physics Research Group, which started as a pilot project in 2002, conducts interdisciplinary, collaborative research involving undergraduate students from mathematics, physics, and computer & data science. Along with grants from the NSF, the group has also received funding from the Edward H. Arnold and Jeanne Donlevy Arnold Program for Experiential Education, and the College itself. Approximately 25 students have participated in the group, utilizing the knowledge they gain in the classroom and applying it to real-life situations. 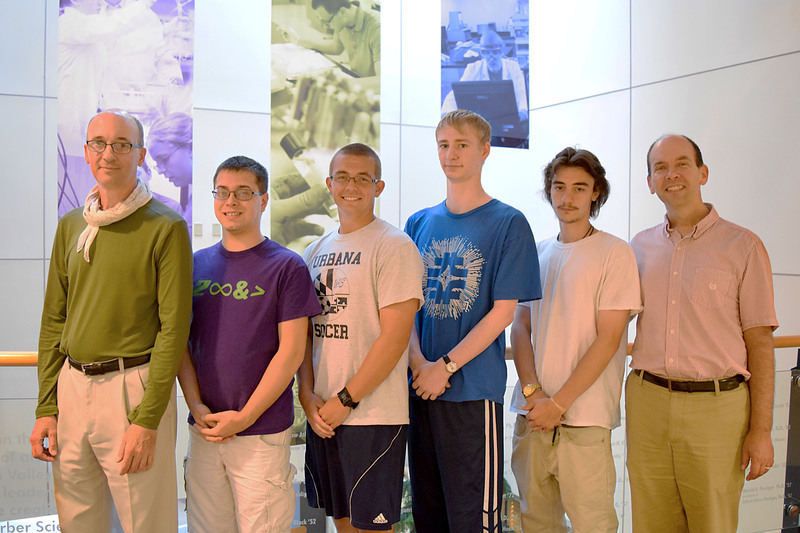 Along with Dr. Lyons, Dr. Scott Walck, chair and professor of physics, has guided the group’s work over the years. “It is a great achievement and point of pride for LVC that our student-faculty research is so consistently productive, with student coauthors in high quality research journal articles year after year. In this, our performance surpasses many institutions that might be considered more elite,” said Dr. Lyons. Dr. Lyons is proud to be continuing a Valley tradition that started in the 1940s with Dr. Tony Neidig ’43, late chair and professor emeritus of chemistry, who established one of the first joint undergraduate student-faculty research program in the country in chemistry. Lyons’ newest grant will continue the theme of quantum information science and particularly, quantum entanglement. Quantum entanglement already provides technology for communication security that is fundamentally stronger than the best methods using conventional devices. Potential applications of the LVC group’s work include error correction, entanglement verification, and resource states for powerful quantum computers. For physics major Ezekiel Wertz ’18, two summers as part of the group has already resulted in him co-authoring one publication and a tremendous start to his academic and professional career. He’s also gained experience in creating a poster and presentation of the research to share with varied audiences. 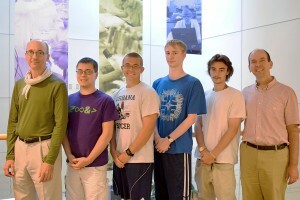 Explore more about the Math Physics Research Group at www.lvc.edu/academics/programs-of-study/mathematics-program/student-faculty-research.